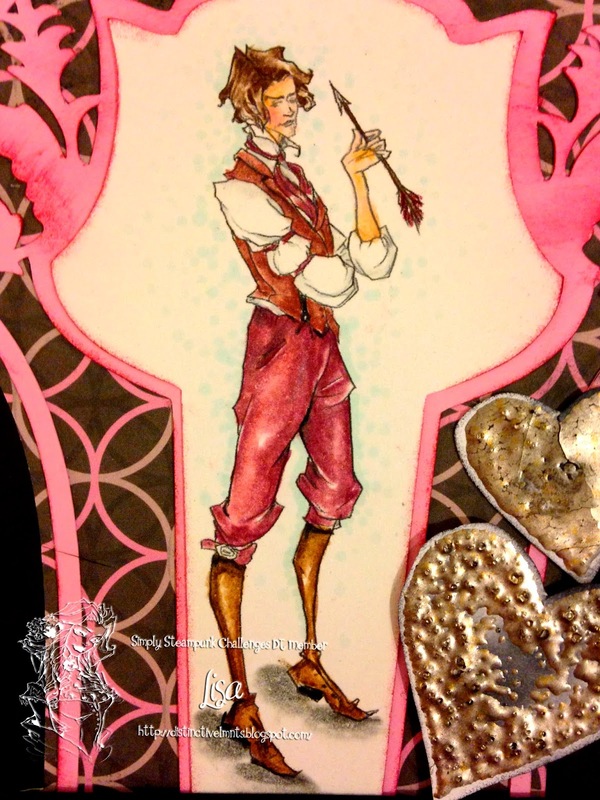 Here is Romance Jacob , I thought it was time to revisit some of the older Steampunk images. They are timeless digital images that can be used for a multitude of occasions. 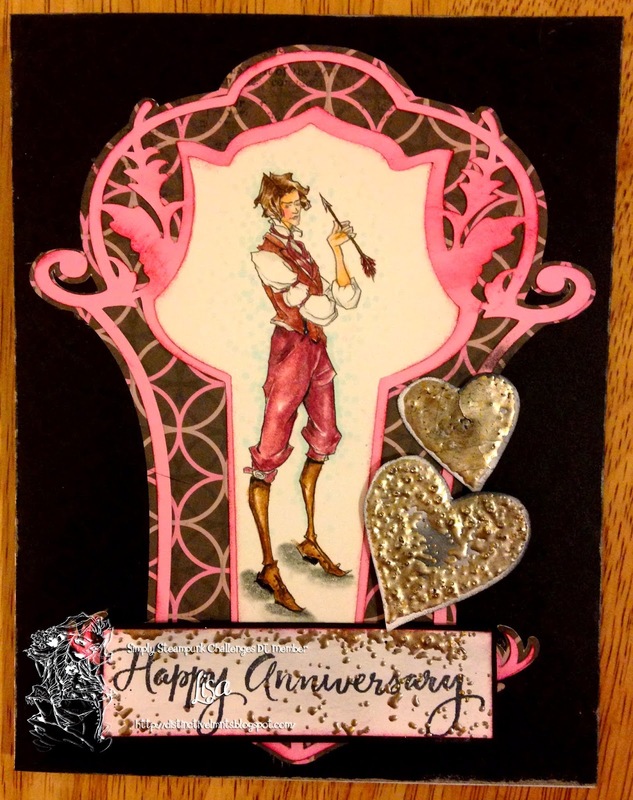 I chose this Jacob to dress up an Anniversary card. Won't you check out the other DT members' at Simply Steampunk Challenges uses of "OLDIES BUT GOODIES" ? You might rediscover/discover a favorite. STAMPS: HEARTS & SENTIMENT- INKY ANTICS "ANOTHER LOVE"
After all this time I still can't believe you colour with pencils, beyond beautiful and this is just perfect for an anniversary card! Gorgeous card Lisa and I love pink & black together - it's always stunning! Fabulous card and coloring, Lisa! Love the gold embossing and the unique shape as well. Want a shiny new apple?